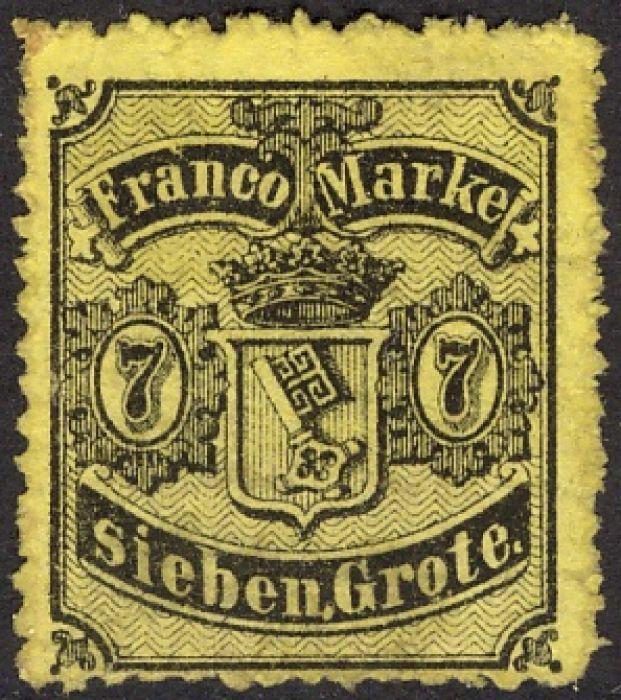 Printed by G. Hunkel, Bremen. 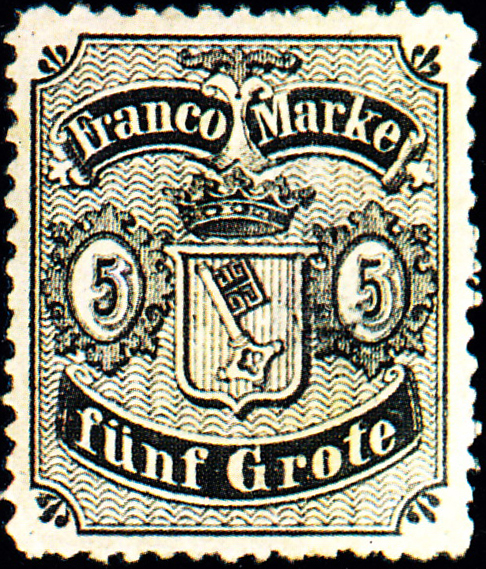 Most of the German States had issued stamps by the mid-1850s, but Bremen, an important seaport, was the first of the free cities to do so. Bremen joined the North German Confederation in 1867. There is a summary of German States' issues here. Images from Mackay and David Olson.